Carter DeVries, Twinsfan007, Reese and 3 others like this. Assume you received this via email; their site does not seem to show it. Did you notice any exclusions? Being a nitpicker, I take the fact that the ad doesn't actually say ALL vinyl to mean that it probably refers to SOME vinyl, and that the usual suspects will be excluded, e.g. Mofi and AP titles. But I guess we'll find out tomorrow! @riverrat Code is already working — both MOFI and AP vinyl titles got the discount when I put them in my cart and applied the code. MYKE and riverrat like this. Just ordered the SRV Texas Hurricane 45 box set. For the price it's tough to beat! Always wanted to pick it up so I thought why not now. MYKE, ggergm, riverrat and 2 others like this. There's quite a few things they don't have in stock (several Speakers Corner titles I was interested in), and are quoting 4-6 weeks on. That didn't stop me. I ordered two Speakers Corner titles. One, an Elvis Presley early greatest hits LP, was in stock. Santana's Caravanserai, easily my favorite non-hit album by Carlos, needs to come from Europe. I can wait. I saved $10 and got free shipping. That warms my heart on this bone chilling day. Nephrodoc, recstar24, MYKE and 1 other person like this. So, I take it that means out of stock items are still on sale? floyd and MYKE like this. Some AP stuff is, but anything marked "not eligible for further discount" will not work. Interesting, but I'm going to pass. The only two albums on my list come out cheaper ( slightly ) at Acoustic Sounds. Because one is not in stock yet, AS won't give a discount on a pre-order, but MD will. 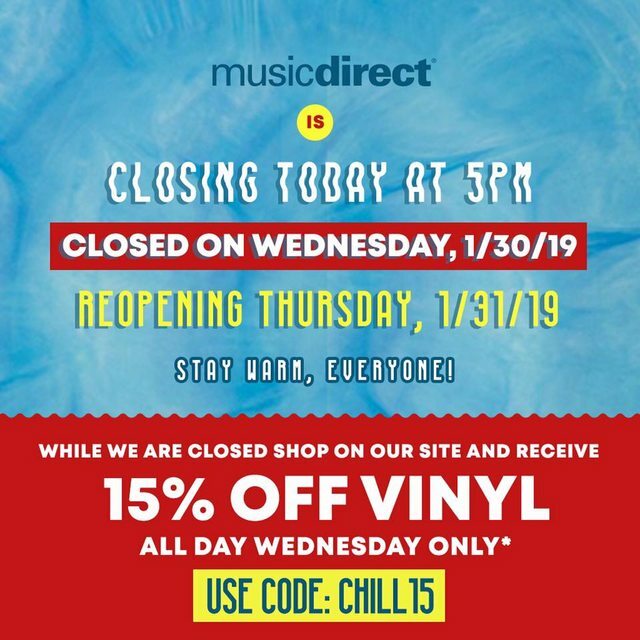 For the other album, MD pulls ahead with the extra 5% discount, but then loses ground with the adding of sales tax ( they have a physical presence in TN ). So the total order would be cheaper with a 10% discount at AS. Even better after the unreleased album is released. Oh well, I see others are enjoying it, so good for them. googlymoogly and hutlock like this. Did they jack up the price on everything? Those are normal prices, same over at Acoustic Sounds. Boutique sellers, not K Mart. Hey so does anyone know if i can add something to my order before they ship it? I really don't want to have to pay for shipping for it if i don't have to. I was wondering if I could add another record onto my order. I've been buying LP's from MD for many years. Unless there was another January 1st price increase that I was not aware of; this is not "normal". For items that seem to be going OOP they raise the price. An example of this i belive is their pricing on Mofi's Frank Sinatra releases. They are WAY above what they were when they originally came out. Call them tomorrow, if they reopen, they'll help you I'm sure. Okay, so I'm not going crazy. Good to know. 1LP. $45. That is not normal pricing. The last AP title I bought was $49. Now they are all $55. Something is going on with the pricing. KOB $60. Used to be $50. This very old news. AP prices have been $55 for well over a year. When was the last time you bought something? Earlier this week. But the last AP release I got was Midnight Blue back in November for $50. I also saw a single LP copy of Music From Big Pink for $50?! I guess this is what happens when there are fewer players in the market.